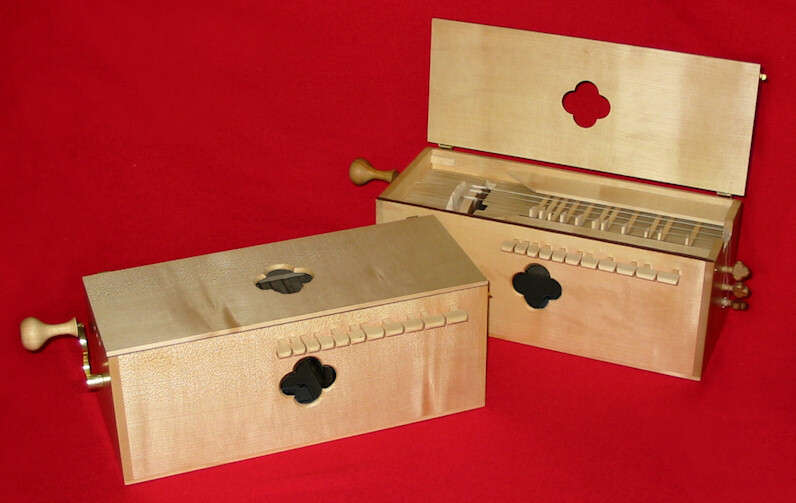 TThe Symphony is one of the earlier and simpler forms of the hurdy-gurdy. 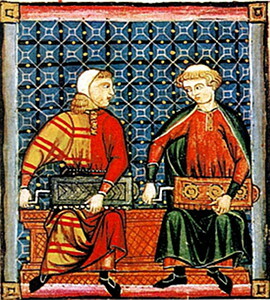 Symphonies can be seen in the 13th century "Cantigas de Santa Maria", in various psalters, and in carvings on the walls of cathedrals. They became less common after the 15th century. The Diabolus symphony is a three-stringed instrument, with a single chanterelle (melody string) and two drones. It has a twelve-note diatonic range, which is ample for most medieval tunes. I have improved the design over many years. It is now a lovely, stable little instrument, not too difficult to tune and play, but quite versatile. It has a rich, complex tone, which particularly lends itself to contemplative music, although it is quite capable of jollity. It makes an attractive solo instrument, but it is also ideal for accompanying the voice. I keep the basic design simple, and therefore relatively cheap. If you're after something more decorative, I can add soundhole roses, inlay, chip carving - tell me what you'd like and I'll work out a price. Strap buttons can be added if you want to play it standing up. It is usually tuned in C - the chanterelle is G, with C and G drones. But it can be tuned in various ways to suit the repertoire you're playing, or to match other instruments. If you want to deviate radically from standard tuning, I can work out modified stringing. Two medieval songs - "Edi beo thu, heven-quene" and "Gabriel fram heven-king"
Inlay, carving, paint - please enquire.